The seventh voyage of Sinbad the Sailor saw him traveling to an exotic city whose inhabitants are transformed into birds once a month. 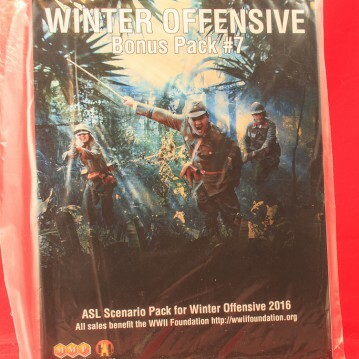 The seventh Winter Offensive Bonus Pack (BP7) is not nearly so unusual, but it does transport ASL players to at least one exotic island–though bird-men are thin on the ground there. As with previous Bonus Packs, BP7 is a tiny appetizer of boards and scenarios. In this case, there are two of the former (boards 74 and 75) and three of the latter (two PTO, one ETO). 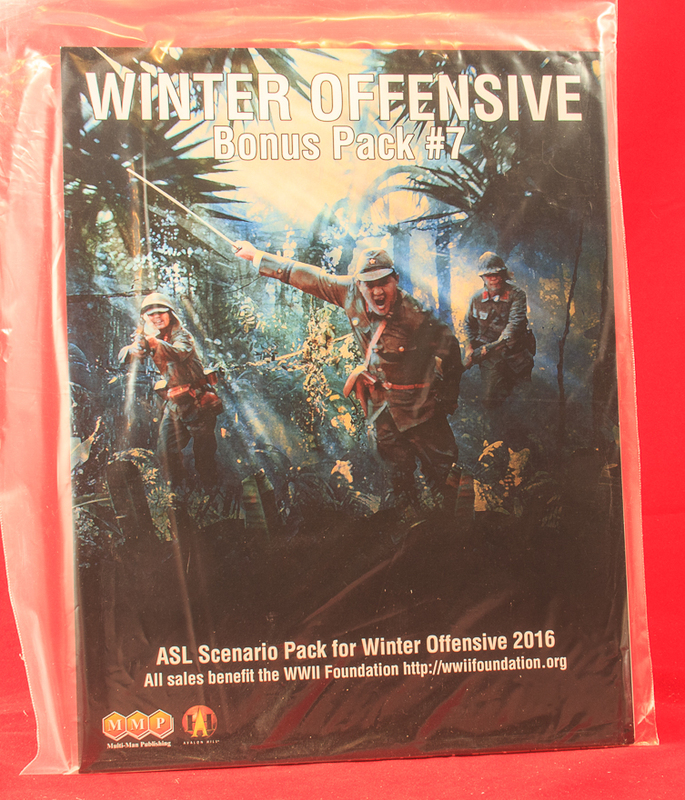 Bonus Packs are released by MMP each January at their Winter Offensive ASL tournament. In 2016, ASLers had to brave a daunting blizzard to be one of the early owners of this tropical mini-pack. The important aspect of any bonus pack are the boards of course, as they are key additions to the ASL system. ASLers may recall that 2015’s offering, Bonus Pack #6, was rather disappointing in this regard, as the boards were not truly new, but rather simply modified versions of boards that had already been in the ASL system for many years. BP7, happily, not only brings actual new boards, but the boards themselves are very useful additions to the ASL geoboard collection. Board 74 is a wilderness board, with nary even a hut to be found on it. 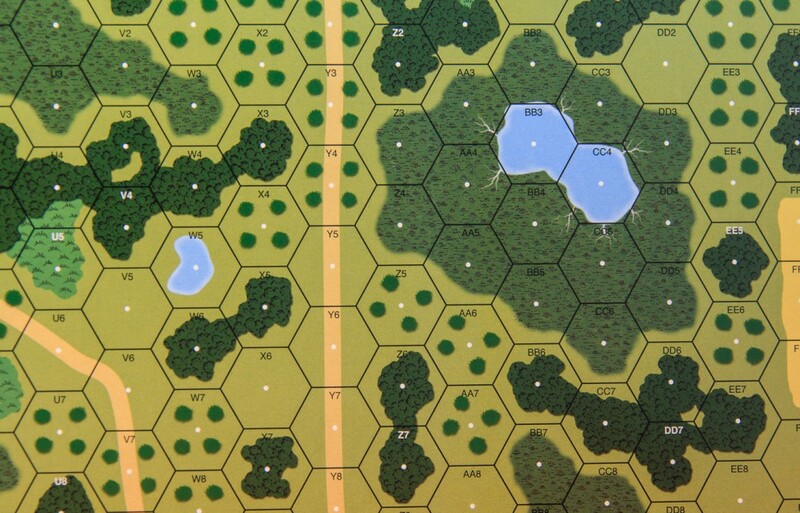 It is also the first marsh/swamp board to be added to the ASL geoboard system, with 9 multi-hex and several single-hex marsh areas dotting the field of play. 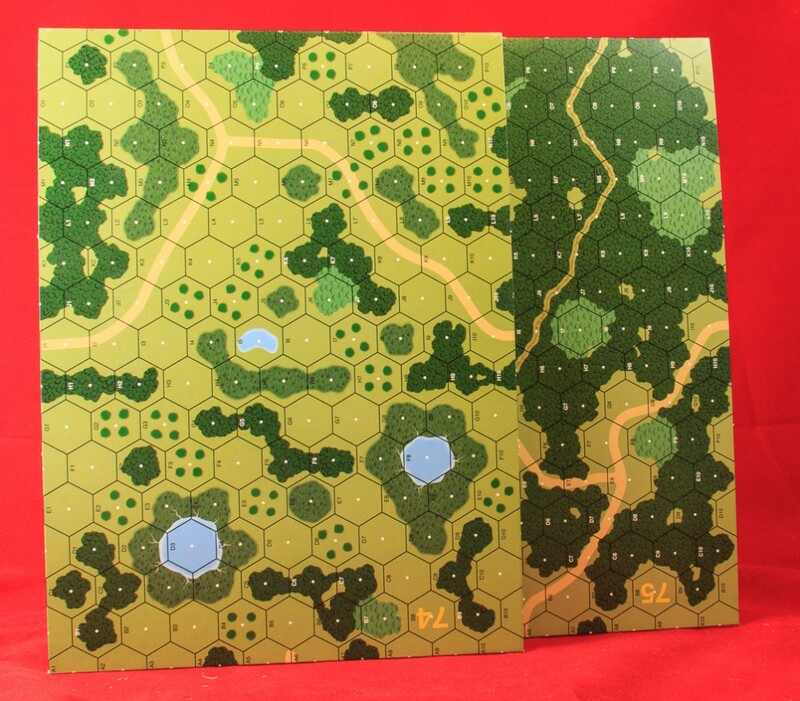 This makes the board a very suitable choice for actions ranging from lowland jungle areas to the Pripyat marshes to the wilds of Finland and northern Russia, and more. 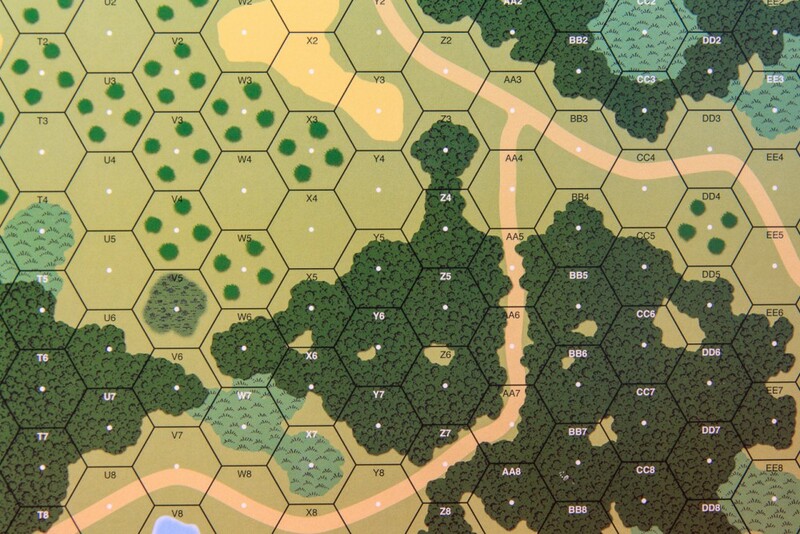 The only drawback is that there are too many orchard and not enough woods hexes. Still, as the first marsh addition, it is quite welcome. Board 75 is also a wilderness board, but it is dominated by large sections of woods, with a strong secondary emphasis of orchards. As there are a relatively small number of woods boards in the board mix, and they tend to be used over and over again, Board 75 provides some much needed variety. Two of the three scenarios are PTO scenarios, both set on the island of New Georgia, which was the first stepping stone in the southwest Pacific after Guadalcanal. Two U.S. infantry divisions, the 43rd and the 37th, saw their first action there in the summer of 1943, learning for themselves how difficult it was for rookie U.S. units to root the Japanese out of jungle entrenchments. Most New Georgia scenarios for some reason focus on the relatively small and brief USMC participation in the battle. 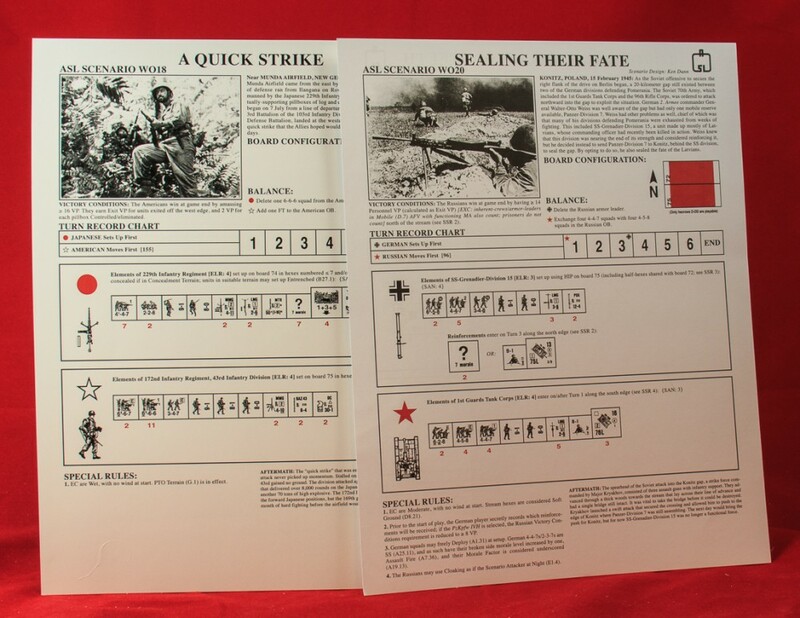 One of the BP7 scenarios does as well: WO19 (Through the Dragon’s Teeth), which features 13 5-5-8 USMC squads attacking 6 Japanese 4-4-8 squads with three guns. Unfortunately, though it is not an amphibious landing scenario, play of this smallish scenario requires setting up 6 beach and ocean overlays, which some ASLers may not think worth the effort. The other New Georgia scenario, WO18 (A Quick Strike), features a unit of the 43rd Infantry Division, whose performance in the campaign was, to say the least, embarrassing. However, in this small scenario, its squads are generously represented by 6-6-7 and 6-6-6 squads with an ELR of 4, which really doesn’t seem justifiable. This force must contend with a small Japanese fortified position defended by 7 squads and 2 crews. Exactly what action is trying to be simulated here is not clear, as the historical description not only has a unit identification error in it, but also seems to be conflating two different days of fighting, July 10 and July 14. This seems more like a generic PTO scenario than a specific, researched action. The third scenario also takes place in the PTO: the Polish Theater of Operations, that is. Set in February 1945, this tiny scenario features 10 Soviet squads and two AFVs against 7 German squads and (possibly) one AFV. It looks fairly dicey. Overall, the scenarios do not leave an overly impressive first reaction, but the geoboards are quite nice and will no doubt be exploited in the future by other designers, so BP7 is certainly worth getting.